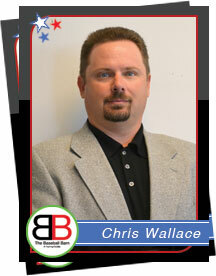 Coach Chris is passionate about baseball. Specifically, in the development of youth and high school pitchers. Studies released by the ASMI have shown that nearly 50% of all youth and high school pitchers are throwing with arm pain in any given season. This is a staggering number and every coach everywhere should be focused on significantly reducing the number of kids throwing with arm pain. Yet, everywhere you look, you will find pitching articles that focus on “belief based” ideas on how to throw a baseball effectively. Within the past 15 years, sports science has learned so much about the bio-mechanics of pitching, that there is really no excuse for not adopting an instructional approach that utilizes the best bio-mechanical principals to minimize the risk of injury while maximizing a pitchers effectiveness. Coach Chris has been coaching youth and high school pitchers for the past 7 years with the focus on eliminating arm pain by teaching the correct bio-mechanical principals of the pitching delivery. By using these methods, his students also learn to throw harder and more accurately. Coach Chris uses high speed video analysis as an invaluable tool to show players of all ages and skill levels how to pitch effectively, while minimizing the risk of injury wherever possible. However, the radar gun is not the only way to judge a pitcher. Situational knowledge, having a variety of pitches, learning how to keep hitters off balance, and how to be deceptive, are all key ingredients to becoming a dominant pitcher at any level. Coach Chris will work with you to help you improve in these areas so that you can excel in your league or school.